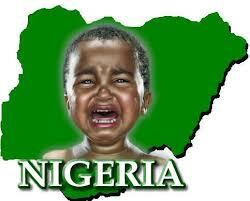 From 1967 till date Nigeria government has been a failed state and no amount of prayer can save it from collapsing. Anything man made is always prone to fail unlike Nigeria that was erroneously made by Man. 50 years after the ethnic cleansing where approximately 3.5 million Biafra were massacred things has never been well with Nigeria because the blood of those killed unjustly is seeking for revenge. Nigerians are currently hoping against hope that God will change things and the Yoruba churches and Fulani mosques are helping them pander to such madness. And a country that claims to be oil producing, selling kerosene at #500 per litre. Nigeria can never get better because it is built on a satanic foundation of occultism where politicians washes its hands with the blood of infants, and encourages state sponsored terrorism. This is why the project for Biafra restoration can never be stopped or defeated by any man. BIAFRA is a divinely project which tends to correct the mistakes of the British business mogul Lord Lugard and his queen of coast FLORA Shawn .Any man of God that advocates or preaches AGAINST Biafra is from the pit of Hell and as such speaks for Lucifer. Naira is on a free fall, everything turning upside down, yet the lying government under the watch of Buhari refuses to acknowledge the fact that the country is already a fail nation. If at all the president hears advices because the last time we checked, A medical expert, Dr. Osahon Enabulele, who underwent a surgical operation for his ear infection in Nigeria late 2016 confirms the president has serious problem from EAR., if not, we would have advice he accepts defeat by releasing Nnamdi Kanu the prisoner of conscience and grant Biafra peaceful exit from Nigeria, because now that Donald Trump has emerges as America president throwing his weight and support on Biafra, the game has changed. And if he delays further, its end will be disastrous because world power will be after him in a full force that his Jihadist Soldiers from the tribe of ottoman Dan Fodio Can’t Stop BIAFRA. MR. PRESIDENT IS LIVING A REPUDIATED LIFE AND AS SUCH HE CAN NOT U UNDERSTAND WHAT YOU MEAN.